This is the Signed original Watercolour painting by John Batchelor. 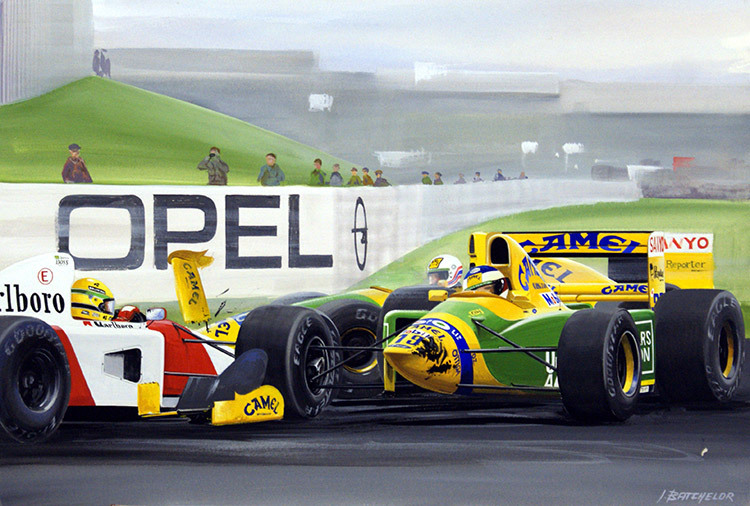 Schumacher collides with Ayrton Senna in an attempt to get past on the hairpin. French Grand Prix July 5th 1992.